One of the most gorgeous animals on the planet. Plenty of strange and fanciful creatures have been invented within the long tradition of lore and mythology, but few real-life beings have been so aptly named after one of those from fiction. Meet the blue dragon - probably among the most beautiful animals on the planet. And he's a sea slug, no less. They may be a bit more diminutive than their namesake counterparts are imagined, measuring in at just over an inch fully grown, but this species is no less fearsome. 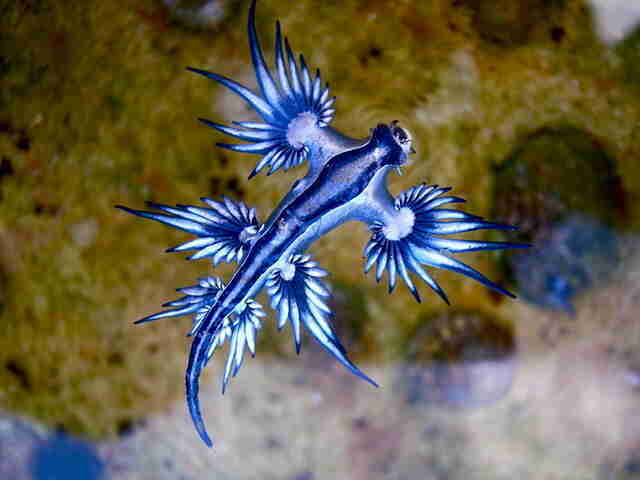 Blue dragons (Glaucus atlanticus) spend their lives floating upside down in warm ocean currents, attacking their prey with a powerful venom from their wing-like appendages. Their sting is so deadly, in fact, that they're known to take down other venomous marine animals, like the Portuguese man-o-war. 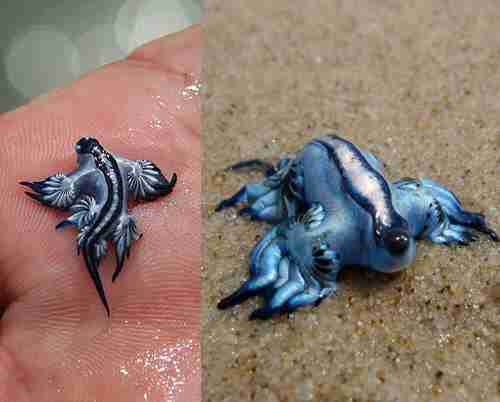 While blue dragons are said to be quite rarely seen by humans, the beautiful, fierce little mollusk was caught on camera just last week after washing ashore on a beach in Queensland, Australia - offering a fleeting glimpse of one of Earth's prettiest inhabitants.